Parasympathetic system is the smaller component of autonomic nervous system in comparison to its sympathetic counterpart. This system gets activated for conservation or restoration of energy, thereby keeps the body in restful condition. Like sympathetic system, it is also made up of afferent as well as efferent components. Afferent component of parasympathetic system carries mainly the physiological sensations from the receptors present in the wall of viscera. For example, sense of awareness of distension of urinary bladder is carried through parasympathetic afferent pathway, whereas pathological pain from wall of urinary bladder is carried by sympathetic afferent pathway. Efferent pathway (parasympathetic outflow) of parasympathetic nervous system is composed of following components. Centers: cranial (in brainstem) and spinal (in spinal cord). Cranial centers: These are nothing but general visceral efferent nuclei of four cranial nerves present in brainstem, 3rd (oculomotor), 7th (facial), 9th (glossopharyngeal) and 10th (vagus) nerves. Spinal centers: These are neuronal group present in intermediomedial area of spinal cord gray matter of S2, S3 and S4 segments. Neurons of centers of parasympathetic system, like those of sympathetic are preganglionic neurons or connector neurons. Preganglionic fibers: These are longer in comparison to those of sympathetic and pass in the form of visceral efferent fibers of 3rd, 7th, 9th and 10th cranial nerves, and pelvic splanchnic nerves formed by union of visceral efferent fibers carried through S2, S3 and S4 spinal nerve. 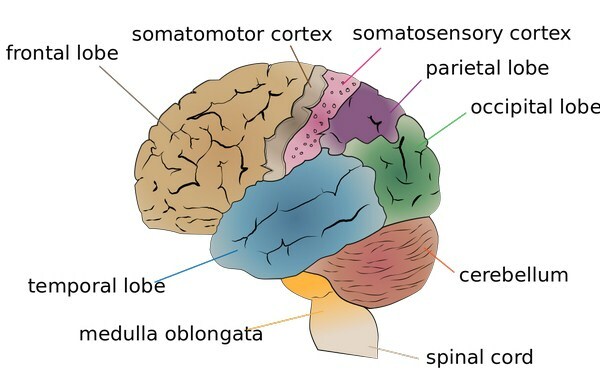 Autonomic ganglia: They are close to the target organ (viscera), so postganglionic fibers are very short. Eyeball: Constriction of pupil due to contraction of sphincter pupillae. Increase in curvature of lens helping accommodation due to contraction of ciliary muscle. Cardiovascular channel: Slowering of heart rate (bradycardia) with diminished force of contraction. Respiratory tract: Constriction of smooth muscles of tracheobronchial tree and secretion of mucous glands. Gastrointestinal tract: Increase of peristalsis and secretion of mucous glands. Urinary tract: Contraction of detrusor muscle. Edinger–Westphal nucleus of oculomotor nerve (III): Present in midbrain at the level of superior colliculus. Superior salivatory nucleus of facial nerve (VII): Present in lower half of pons. Inferior salivatory nucleus of glossopharyngeal nerve (IX): Present in upper part of medulla oblongata. Dorsal nucleus of vagus nerve (X): Present in lower part of medulla oblongata. Spinal: It is the intermediate area of gray matter of S2, S3 and S4 segments of spinal cord which is considered to be spinal center for parasympathetic system.